Love having your phone on you and on at all times but hate getting those annoying calls or message notifications at the worst possible time? Even if you don't know it, you likely already have option to mute those annoying calls, message notifications and led flashes all while still allowing priority messages or contacts to ring through. For Samsung Galaxy owners, Samsung has been adding Blocking Mode to their phones for years now, all the way back to the first Galaxy devices. The feature allows you to receive calls and notifications from selected 'priority callers' while remaining silent and stealthy to anyone not on your allowed list. 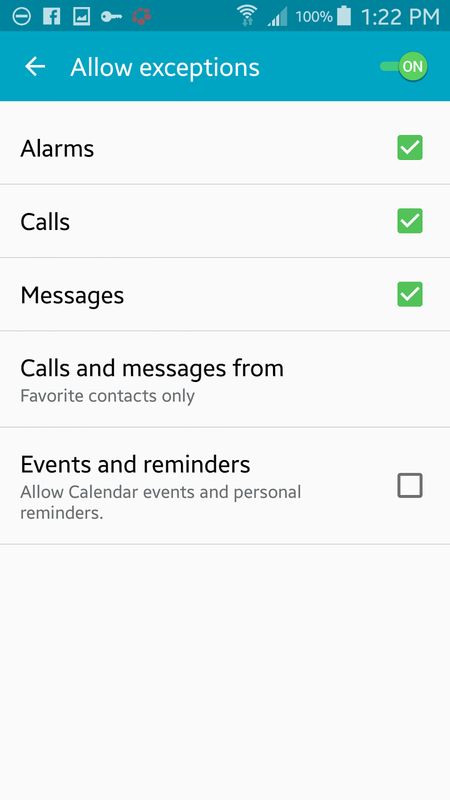 With previous version of Andorid (KitKat and earlier) the function was fairly basic and only allowed you to block incoming calls, turn off certain notifications, and turn off alarm and timer reminders. With the changes Google has made to Android Lollipop came the inclusion of features dubbed downtime and priority mode which now allowed for much more customization and better control over your allowed contacts and allowed notifications. However, Samsung added in their own spin customizing these features under Lollipop and TouchWiz as the new Do not disturb setting. The new Do not disturb setting can be quickly enabled/disabled from your quick settings panel, though it takes a bit more work to find and customize the actual settings. On previous versions of Android and TouchWiz you could simply go to apps, settings and scroll to find Blocking mode. Now you have to look under Settings–Sound and notifications (a quick scroll to the bottom should show it). To customize your settings and allow priority mode callers simply tap Do not disturb, tap allow exceptions, and swipe it to on. Here it allows you to select to receive or block all alarms, calls or messages. You can also tap Calls and messages from to allow/deny calls from everyone, favorite contacts (this would be your priority callers), or only contacts. For those wanting to block application notifications Samsung has added the option to customize those as well. 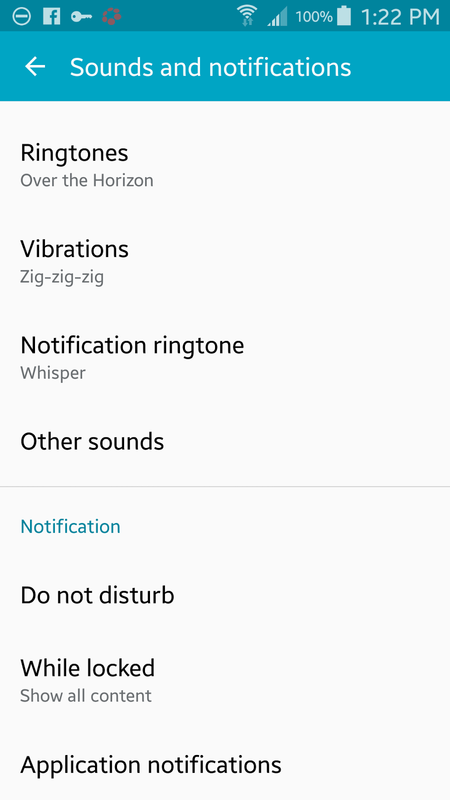 Back in the Settings–Sound and notifications panel, just below Do not disturb, is the option for Application notifications. This setting will allow you to pick and chose on an individual basis which applications will notify you. You can block or allow each app individually, or set them as a priority to be shown in the notification panel when Do not disturb mode is enabled. How do you add the shortcut for the do not disturb feature on Samsung galaxy prime.